Centenary Bank shareholders will have to suffer less dividends due to bad loans. 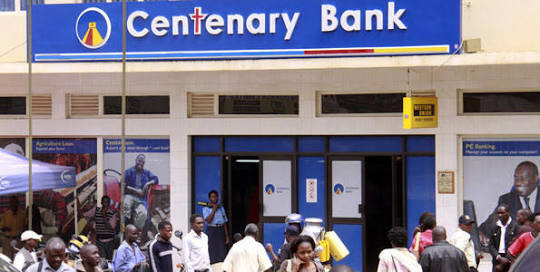 Centenary Bank, the leading indigenous financial institution in Uganda, this week announced that it has suffered over Shs80 billion in losses as a result of Non-Performing Loans (NPLs) and writing off some bad loans in 2017. According to the financial results released on Friday, the bank, whose mission is to extend micro finance to mainly rural areas, wrote off Shs18 billion in bad loans in 2017 while NPLs increased to Shs62.2 billion, up from Shs35b. This, they said, is going to bring the shareholders’ dividends down from Shs27.9b shared in 2016, to Shs25.18b that will be shared this year. The bank announced that it’s profit after tax fell by 8.7% to Shs100.27b in 2017, down from Shs109.9b recorded in 2016. Nevertheless, the bank realised an increase in total asset value, from Shs2.3 trillion in 2016 to Shs2.7 trillion last year. The bank also gained more from customer deposits, which increased from Shs1.6 trillion in 2016 to Shs1.9 trillion. In a healthy and sound financial system, a performing loan will provide the bank with the interest income it needs to make a profit and extend new loans, while a non-performing loan, in both theory and in a practical sense does not! Banks supervisors generally consider a loan to be non-performing when more than 90 days have passed without the borrower paying the agreed installments. To be successful in the long run, a bank needs to keep the level of bad loans at a minimum so that it can still earn a profit from giving out loans. Nonetheless, NPLs are a fact of life for banks, as borrowers lose their jobs and fail to pay back. Companies too run into financial trouble anf fail to meet their loan obligations. NPLs have continued to affect banks in Uganda due to slow economic growth. However, during the annual Uganda Bankers Association (UBA) dinner held at Pearl of Africa Hotel on November 24, 2017, bankers were told that the (NPLs to total loan ratio had fallen from 10.5 per cent in December 2016 to 7.2 per cent in September 2017. In absolute terms, NPLs fell by 32 per cent, over the same period.